To meet your different needs and dose of ideas and inspiration, if you all know there is one category that goes by the name Cool Homes. Adding to the queue is a nice not too long but worthy compilation of some of the really chic desert homes designed beautifully. There are lot many people heading to mountains and hilly regions to get rid of the hustle and bustle of metros and other big cities. While on the other hand there is a bunch of people who wish to ditch the chilly, snowy grounds for the love of deserts. We will soon be coming up with the list of nice homes in hilly regions. For now, we have something for the latter bunch. 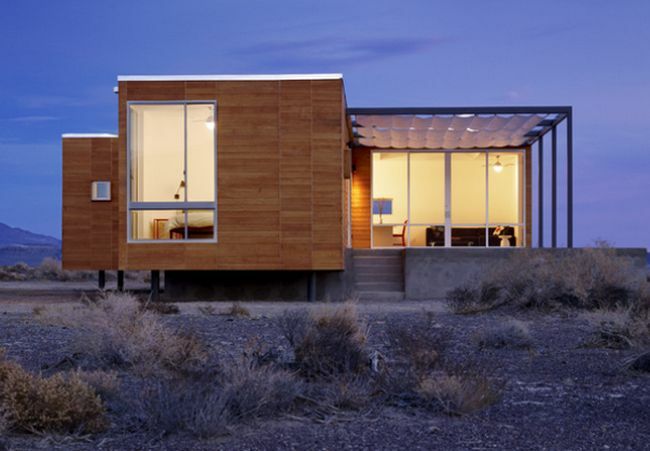 Listed below are the eco-friendly homes that are designed specifically for the desert. If you want a home in the desert region that is not just budget-friendly but environment-friendly too then you got to love our compilation that will serve as inspiration and will give you ideas to get yours designed soon. The scenic beauty around the homes add to the charm and uniqueness of the homes we have listed here for you all to check out. 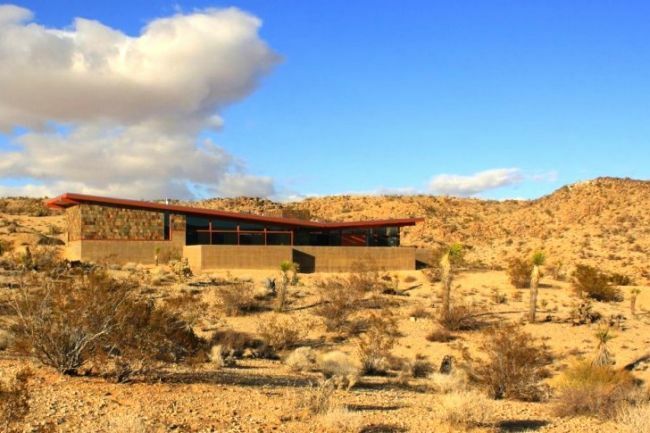 The Rondolino Residence is located in the remote high desert of Nevada with superb landscape. The house is designed by Nottoscale. The three-bedroom prefab fully energy-efficient and includes every possible amenities. 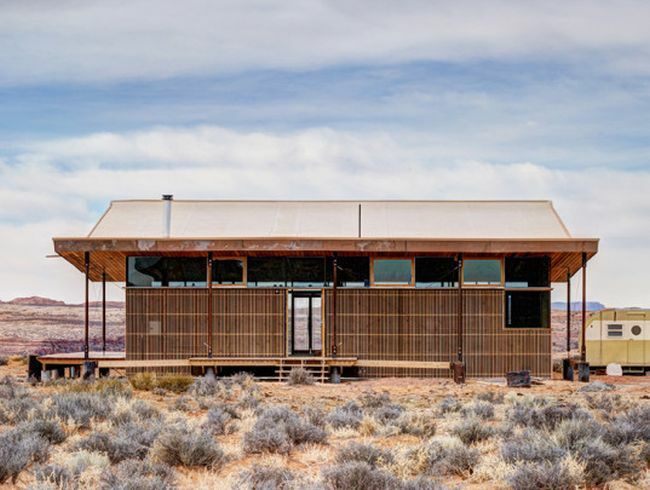 This is an off-grid elegant eco-friendly home by Design Build Bluff built which they built for a mother of four in Utah. The home is built using earth, salvaged materials, and traditional building techniques. It is the hard work of the eighteen graduate students who had put together a beautiful new home complete with solar panels and a rocket stove. 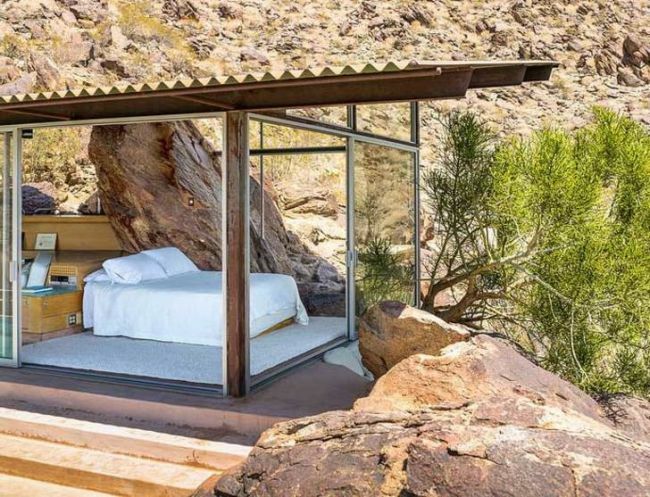 The 800-square-foot Frey House II outside Palm Springs, CA is a tiny house built by Albert Frey in the rocks infact the boulders. The house utilizes the expansive desert views to make it feel much larger than it is. This chic BlueSky Home is immersed in the Mojave. It is the result of collaborative efforts by prefabricated home developer Blue Sky Homes LLC and o2 Architecture’s Lance O’Donnell. 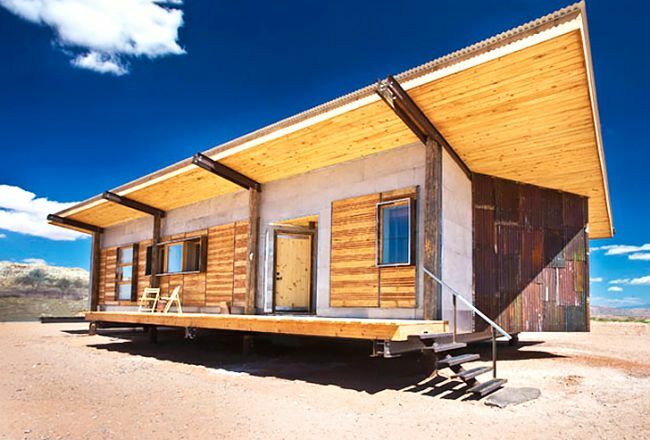 The best part is that this dwelling is prefabricated, energy-efficient and flat-packed. This is one strikinly beautiful residence in the heart of the Mojavie desert by Eco Tech that is well renowned for building green homes. 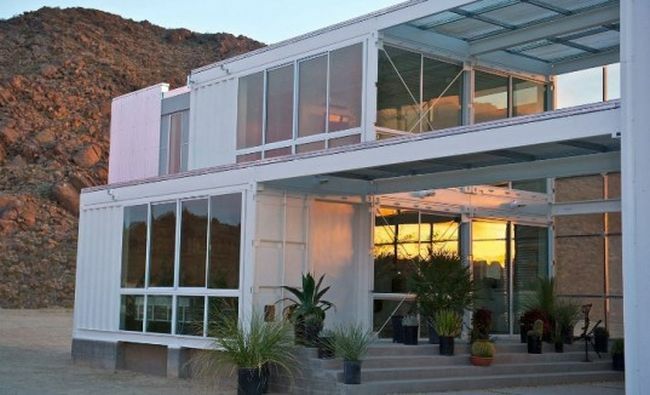 The superb double storey shipping container is a green living machine contributing smartly to the environment. This is Blu Homes’ first SoCal project that is built from a cluster of Origin modules. Namely Joshua Tree desert home, the dwelling features natural daylighting complimented with shade to maximize light and minimize overheating. 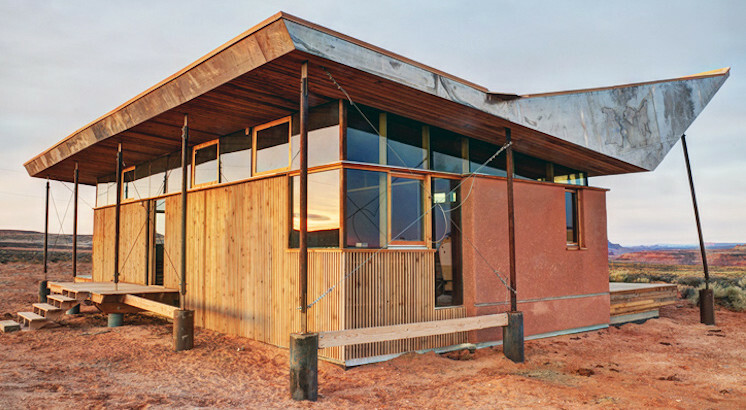 Skow Residence is a beautiful straw bale home in the Utah desert. Built by Harold and Helena Skow and the students in the Design Build Bluff program the home is inspired by large sun-shading sombrero. 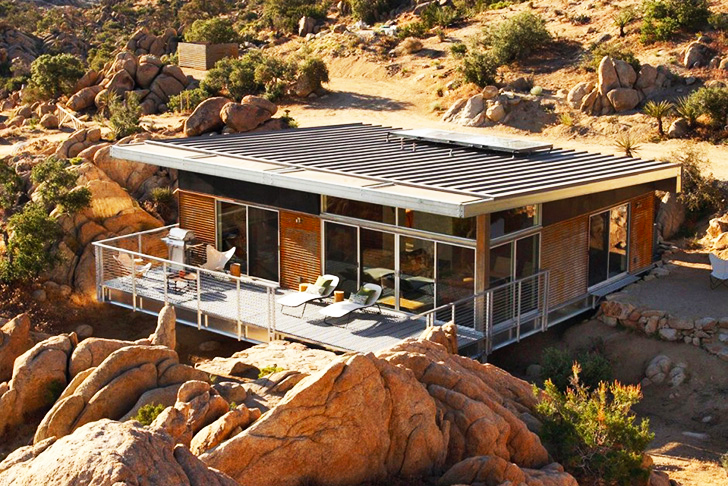 The Green Desert Home by Aaron D’Innocenzo is located in the Mojave Desert near Joshua Tree, California. It took long eight years for the designer to put in all the efforts and come up with this superb architecture. 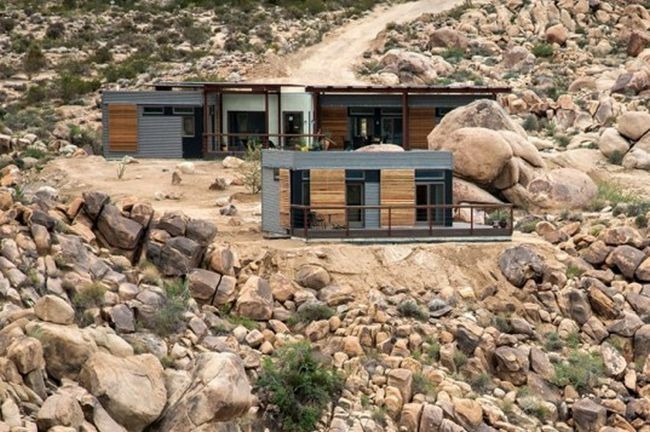 I would suggest you to open up the links or click on the images to read more about the superbly designed eco-friendly homes in deserts. Have any such inspirational architecture design in the deserts that claim being eco-friendly? Do let us know.